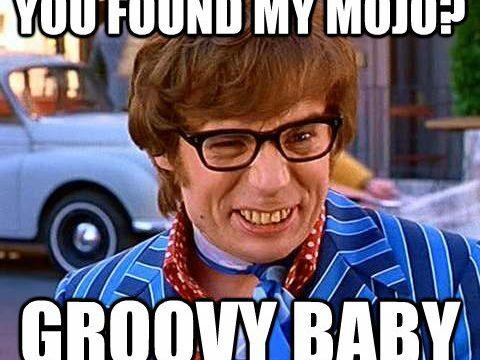 One of my good friends recently confided that she’d lost her cycling mojo, so I thought I’d write about the subject to help her and others, get your cycling mojo back. 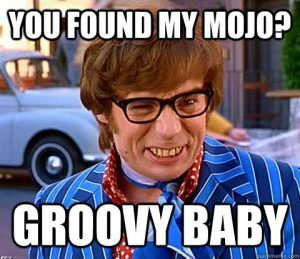 The word mojo always makes me think of Austin Powers, a character who makes me laugh. Although his use of the term is as you would expect – comical, it really is a serious issue when you lose it. I sometimes wake up in the early morning and want to go back to sleep, but I force myself to get out of bed because I know that I will be happy when I’m on the bike and when I return from my ride. I have never been on a ride that I have regretted, so I focus on this thought when I’m tempted to turn my alarm clock off and roll over. Just push through that feeling and you’ll be rewarded. If you commit to a friend to meet up for a ride, then you are far more likely to get out of bed. My friends and I always leave each other with a ‘thanks for the ride’, because we are grateful for each other’s company, and we might not have turned up if we weren’t committed to each other. The night before a ride send out a few text messages and make a firm commitment to meet up. Then don’t let your friends down. If you haven’t been on your bike for a while then make sure it’s in good working order before you jump back on. You’ll need to pump up the tyres and check that the inner tubes and tyres are both sound. You should also lube the chain and make sure the gears and brakes are working well. If in doubt, take it to your local bike shop for a check-over. And of course dust it down and remove those spider webs. Get all your gear ready the night before and have it ready to go including your bike and bike equipment, plus your apparel and drink bottles. That way you won’t have to think about the things you need when you’ve just woken up, and you won’t decide it’s all too hard and go back to bed. I hope these ideas help you get your cycling mojo back. Feel free to share your ideas via the comments or the Women Who Cycle Facebook page. I needed this today. Just getting back into cycling and thought I was taking it too slowly with just three rides a week. A reminder that it takes 21 days to form a habit makes me feel better. Baby steps it is.